I know, I know…you are getting a bit tired of seeing the same old graphic with my Commentathon and Paw It Forward Blog Hop screaming at you…so how about this for a change??? After all, that IS what you are all here for…right?? Here’s what I can guarantee…the donation will NOT be less than $100 green papers…and it may go as high as $150 green papers. 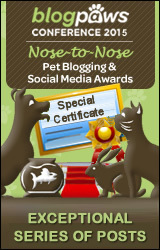 How much is that worth to your favorite rescue/shelter you nominated to be THE recipient of my commentathon donation??? If you do not see the rescue/shelter you nominated, then that means it is not a USA shelter/rescue AND/OR it is not a registered 501 3c. There are some very worthy rescues/shelters in this list of nominees. Just a little suggestion…you know ME…please take a look at everyone’s link…some are very small…not a lot of social media visibility…and yet they do so much in the local areas in which they do their work. I only entered my own former rescue/shelter as more than one suggested it…however…after reading about all the others…what can I say…there is so much need…I simply ask that you visit each nominee rather than just voting for the one you recommended. Let’s all be certain that we are “Making A Difference” with our votes. What a fantastic list!!! They are all so very deserving. Paws up for such a fantastic event, Savvy! Pawsome way to promote yourself BFGF! All those shelters are deserving. 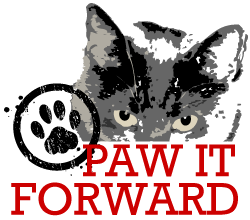 A Call 4 Paws is in NJ but their cat sanctuary is in PA so either is good. I’m gonna promote this on their FB page. BTW, they could really use the money since they need to repair a leaky roof to one of the houses where 70 feral cats call home. 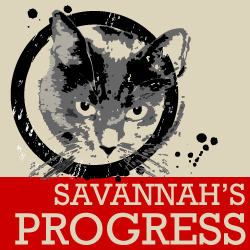 You are doing a great job Savannah. I read the links to choose a rescue and have voted. The link for Kitty Corner came up as 403 Forbidden when I tried to go there. oh dear! Jackie I just tried it and it takes me right to their website? I forgot to vote for the rescue I nominated 😮 But I shared and asked others to vote for them. Thank you. Meooowww wow! Phankz Savannah n Sage n Aunti Linda!! We iz so eggcited! We just LIKED n SHARED on our FB page!!! We voted for Blind Cat Rescue as we visit and support them. 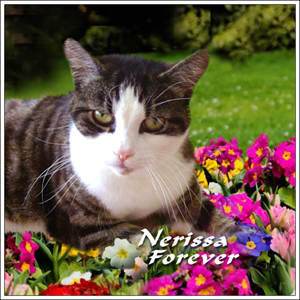 Thanks so much for the opportunity to get us together to help kitties in need. We think the new blog focus is really wonderfur and has lit a fire (with colored lights and paper only of course) at our home to focus more on this aspect of pet blogging. We agree with Summer – so many worthy shelters! So many worthy rescues, so much need. The encouraging thing is that so many of us are doing what we can to help. Every dollar, every share adds up so getting the word out is what is important. Thank you for helping, Savannah! We voted too but that sure is an impressive list of helpful places. I voted! I voted and I shared. I decided not to vote for politicians this year because none are worthy. This time I can’t vote because all are worthy. No offence meant to those I could not vote for. We voted Savvy…….our favorite has always been (since we met you) Contra Costa because that’s where you found your forever home! So much need, everywhere! You’re doing good, Savvy. It’s so hard to pick just one!! Those awe sum pawsum wescues Savannah. So hawd to choose just 1. Can’t wait to see who wins. 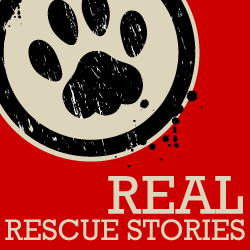 Wow, so many awesome rescues! I wish there was a way to help ALL of them!